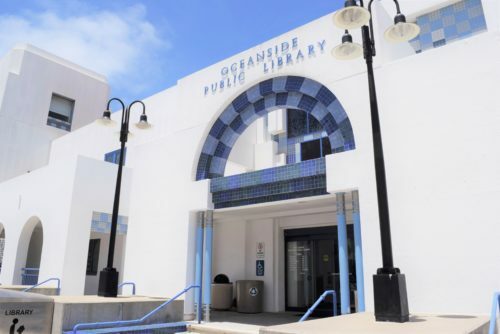 OCEANSIDE–In observance of Mental Health Awareness Month this May, the Oceanside Public Library will host a Mental Health Resource Fair, with the purpose of raising awareness of local mental health organizations and destigmatizing mental illness. The event will be held in the Civic Center Library Community Rooms and outside courtyard on May 9, from 2 to 6 p.m. The Civic Center Library Community Rooms are located at 330 North Coast Highway, adjacent to the Library. According to the National Alliance on Mental Illness, approximately one in five Americans experiences a mental illness in a given year. A community art project, #MentalIllnessFeelsLike , has been launched digitally, and will be unveiled during the Resource Fair on May 9. For more information, visit oceansidepubliclibrary.org and to participate in the community art project. To make Oceanside residents more aware of free or low-cost mental health resources available to them, over 20 local organizations will be present at the Mental Health Resource Fair. Free mental health classes and training will also be available, and will include Mental Health Screening; Suicide Prevention Training (with Community Health Improvement Partners); Gentle Yoga (with Enchanted Elephant); and Coffee with a Cop, with members from the Oceanside Police Department’s Psychiatric Emergency Response Team (PERT) and Homeless Outreach Team (HOT). Registration is required for classes and trainings. The project is supported in whole or in part by the U.S. Institute of Museum and Library Services, under the provisions of the Library Services and Technology Act, administered by the California State Librarian.